A cooperative or CO-OP preschool is a unique school design in that the Director and parents work together to create the preschool environment by making curriculum decisions together and generally administering the business of the school through the Parent Board, specifically through the Executive Board. HCP provides parents and children the opportunity to be actively engaged in the learning process inside the classroom. Former parent board President Jennifer Zock describes a Parent Cooperative as... "Being the only non-profit, non-secular, parent co-op in the area, our school provides a unique experience for our families. Every year during registration, the question we are asked the most is "What exactly is a parent co-op"? At the most basic and important level, a parent co-op allows parents to be actively involved in their child's education. Although there are a vast number of studies that support our philosophy, we see first-hand the wonderful effects parental involvement has on a child's first classroom experience. This positive connection between home and school is vital during the preschool years and well beyond! Another important facet of a parent co-op is that the preschool is administered and maintained by the parents. Under the guidance of our director and teachers, our parent board works very hard to ensure that our children receive the best preschool experience available. Each member of our program brings unique expertise and experiences to our school. There are many different board positions for each parent to become involved. Lastly, the parent co-op provides a forum for parental education. Being closely involved with the school, classroom, and teachers, parents also learn and grow. They gain first-hand knowledge of their child's learning style and have the opportunity to learn about child development and behavior. Families in our community build life-long friendships, and the staff is always eager to educate and support our parents! What do I do as a parent in a CO-OP preschool? Being part of a parent CO-OP can be one of the most fulfilling experiences of your life as a parent. Parents and caregivers benefit from being able to be an active part in the classroom, allowing parents to gain first-hand knowledge of their child's learning style and witness how she/he reacts in a social environment. Parents can initiate strong, positive connections between home and school, which is vital in years to come. Parents can also enter into a family social network by meeting and volunteering with other parents for the betterment of the school. What is HCP's educational philosophy? To provide hands-on activities and experiences which foster development across all educational domains. How long has HCP been running as a school? HCP has been in the Hinsdale community dating back to 1942. HCP's long-established location is in the lower level of the Community House in Hinsdale. Here are more details of our preschool's history: Hinsdale Community Preschool was founded by Betty Wire and a few friends in 1942. They were all young women whose husbands were in the service and were looking for a preschool for their children. HCP was then incorporated six years later in 1948. In the early years HCP was located downtown Hinsdale off of Garfield and was called Hinsdale Community Nursery School. When The Community House was relocated to the current location, Hinsdale Community Nursery school was housed in its current space in the Community House. In 2004 our school's name was changed to Hinsdale Community Preschool. Our two preschool classrooms were donated to The Community House in 1978 by the Joslyn Family. The rooms were once called The Joslyn rooms after the Joslyn children, Merrit and Evanda. What events does HCP have for families in the preschool? 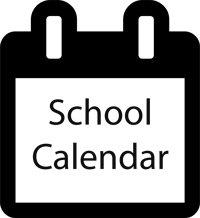 Our school has many family-friendly events during the school year and an extensive summer meet up calendar of play dates, promoting a strong sense of community. We invite parents to celebrate holidays and family cultures with the children in the classroom, and we hold a family event in the spring as well as family picnics to kick off and end the school year. In addition, HCP seeks to build a community with events for moms, and dads, as well! How old does my child need to be to attend HCP? HCP welcomes children ranging in age from 2 years old to 6 years old. 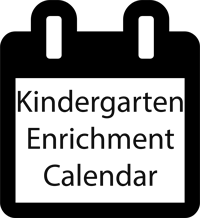 We offer various classes, including Kindergarten enrichment classes to complement a half day kindergarten program. 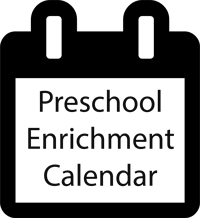 What if we attend another preschool, but we are interested in HCP enrichment classes?